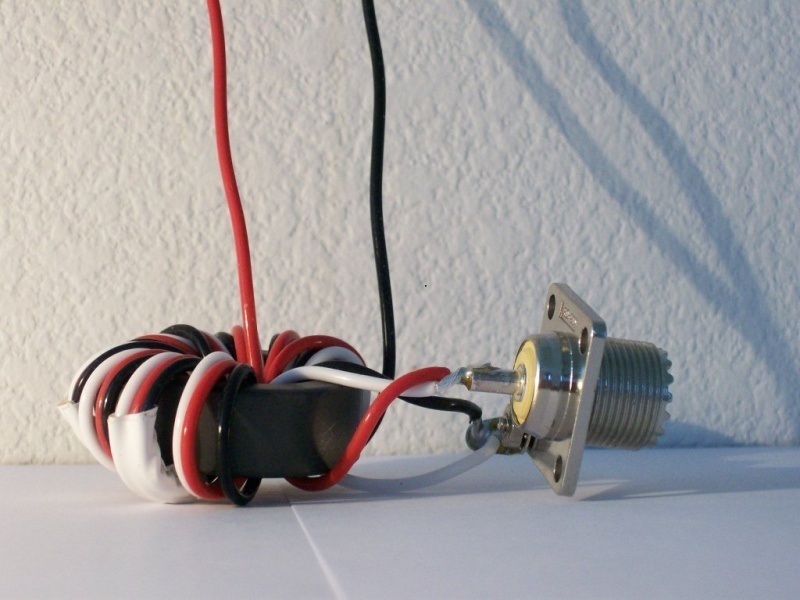 Model BA-9-250 is a 9:1 balun/unun kit used to translate a 50 ohm input up to 450 ohms at RF power levels up to 250 watts PEP when used with a matched load. With a matched 450 ohm load the SWR over the frequency range 1.8 to 30 MHz is shown in the following table measured with an AIM 4170 network analyzer. 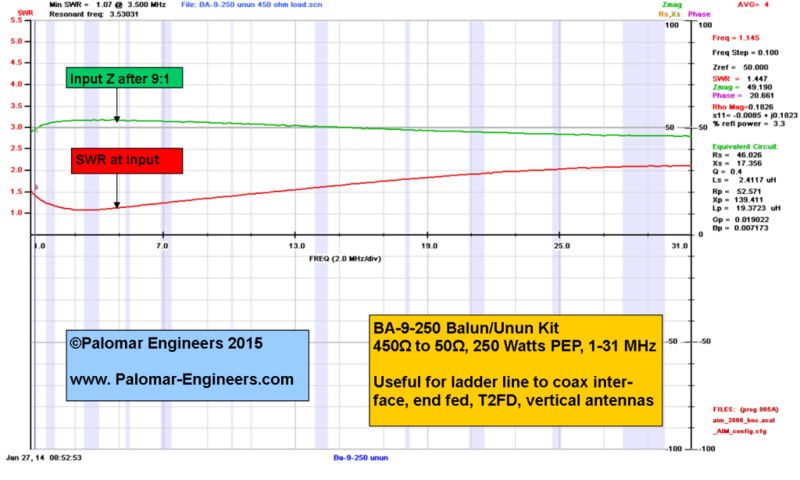 Notice that the conversion from 450 to 50 ohms is very consistent from 1-31 MHz and SWR is less than 2:1 over most of the range allowing easy tuning by most radio internal antenna tuners or an external tuner. Graph is for a 9:1 unun often used with long wire or end fed antennas.